The interest in spatial relations of flexible and rigid components in the work of Kenneth Snelson has the central role and is based on some rather philosophical thesis. 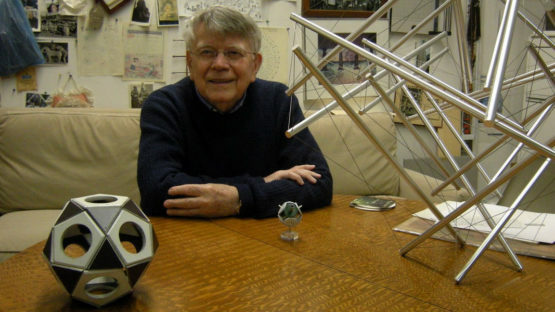 The merging of art, science, and engineering led the artist to investigate the domains of kinetic experiments. His constant striving was to reach the new levels of visual expression by accentuating the tension and compression as the eternally complementary elements in any structure. Although abstract and quite conceptual, the majority of his works were executed in public space which suggests that Snelson himself was interested in communication and mediation. 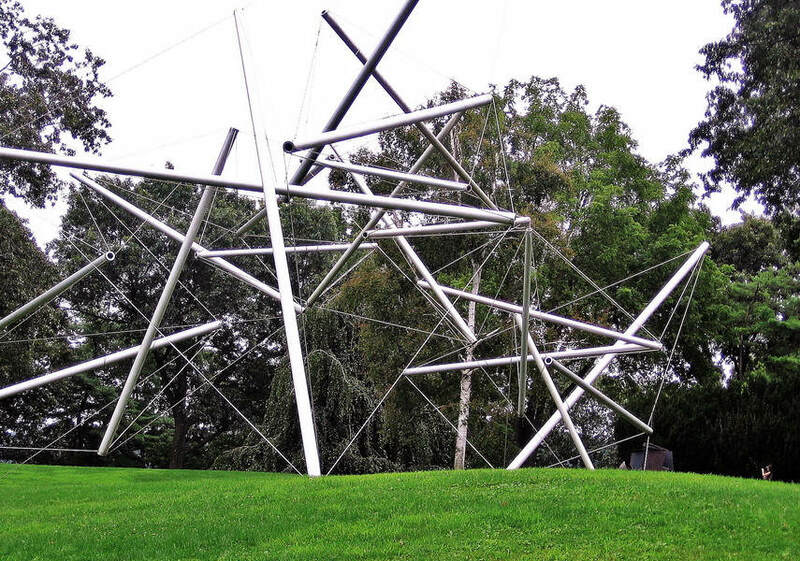 Kenneth Snelson was born in 1927, in Pendleton, Oregon. After leaving the army, he started attending painting department at the University of Oregon in Eugene and at the Black Mountain College. In the fall of 1949, Snelson enrolled for a semester at the Institute of Design but did not like the atmosphere and moved to New York after a semester. In 1951 he enrolled at the Académie Montmartre in Paris where he studied with Fernand Léger. Throughout the years, Snelson was active in several fields and was the recipient of many awards including New York State Council on the Arts Sculpture in 1971, DAAD Fellowship for Berlin Kunstlerprogram in 1976. While studying the famous and progressive Black Mountain College, Snelson was captivated with the thesis of innovator, scientist, and philosopher Buckminster Fuller who proposed the agenda of saving the world through technology, an economy of means, and geometry. Shortly after the school, he quit painting and he began to build peculiar kinetic objects to further explore the Fuller’s ideas. Besides developing those works of art, Snelson also did serious research on the shape of the atom. 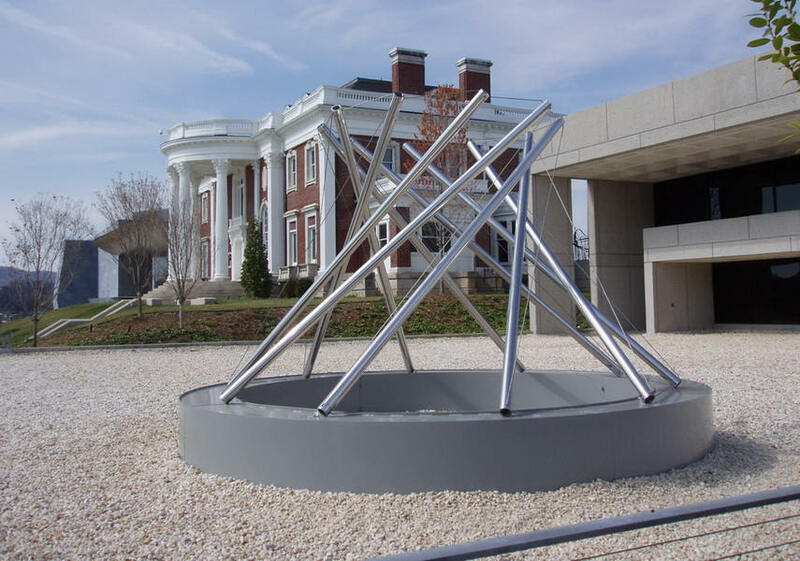 Kenneth Snelson continued to work in his SoHo studio, occasionally collaborating with animator Jonathan Monaghan and had five United States patents. 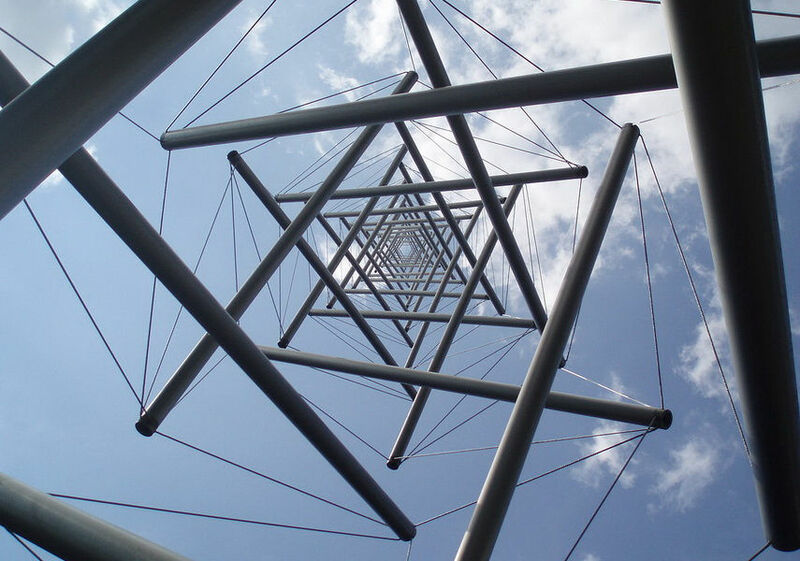 The works of Kenneth Snelson mostly revolved around the concept of tensegrity or floating compression, which is a structural principle based on the use of isolated components in compression inside a net of continuous tension. As a matter of fact, his large-scale constructs embodied that idea and showed that different elements can provide rigidity while remaining separate, not touching one another, held in stasis only by means of tensed wires. In general, his sculptures, panoramic photographs, or his computer art, reflect that either a structural principle or a physical instrument such as a camera or computer can been an essential element in the process of creation. The synthesis between technology and art was not only proposed in the context of introduction the aesthetic qualities of the forms but rather to articulate or implement certain transformative social and perhaps even political potential. The visual intensity of his large-scale amorphous structures made out of wire and steel, give dramatic, visible expression and are appealing for the observer. The apparent avant-garde sensibility reminiscent of Bauhaus or Russian Constructivism framed the work of Kenneth Snelson and proved how the enticing mixture of allegedly opposed disciplines can produce astounding, yet simple works of art fulfilled with a wondrous essence of elementary structure. 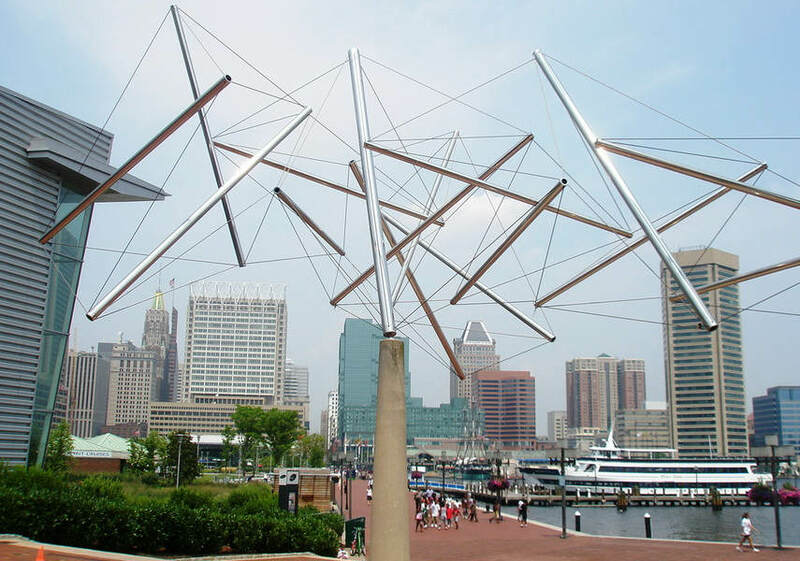 Kenneth Snelson has passed away on December 22, 2016.